Cape Croker Ontario is found between Wiarton to the south and Lion's Head to the north on the western shores of Georgian Bay. 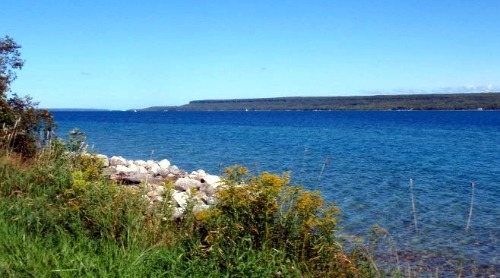 Like much of the Bruce Peninsula the shore line is rocky but there are fantastic views of the Niagara Escarpment, access to the Bruce Trail and even a Lighthouse. 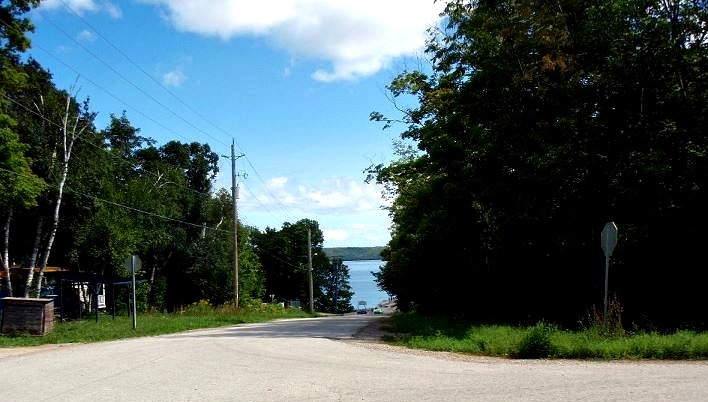 The surrounding lands belong to the Chippewas of Nawash Unceded First Nation. Cape Croker Ontario, also known by its First Nations name of Neyaashiiningmiing meaning a point of land nearly surrounded by water, is just that; a peninsula that juts out into Georgian Bay. The area is dominated by limestone cliffs, rocky shoreline and tree lined trails. The First Nation reserve is home to Cape Croker Indian Park, which offers 315 campsites that can accommodate tents and trailers. Cape Croker Indian park is situated on the shores of Sidney Bay and is open from May through to Thanksgiving. The park has a boat launch but for those not staying at the Indian Park there is a government dock on the other side of the cape across from Hay Island. 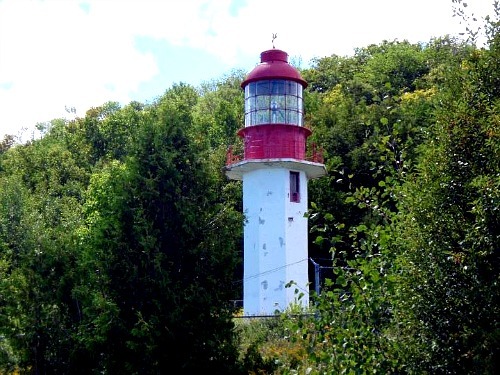 The Cape Croker Lighthouse was built in 1902 replacing the original lighthouse. It is the first of its kind in the area in that it has an octagonal shape and is made out of concrete. It is also the first to become fully eclectic, both the light and fog horn and has been unmanned since 1986. The lighthouse is not open for tours but can be photographed. The uppermost portion of the Bruce Trail winds it way through the Cape Croker reserve. However there is an additional trail as part of the Cape Croker Indian Reserve, known as the Cape Croker Trail. This trail is a boardwalk through marshlands and the Snake Trail Boardwalk is wheelchair accessible. If you are not staying at the park and just want to enjoy the trails parking is available at Rick's Rentals. The Cape Croker Trail does intersect with the Bruce Trail so you are able to experience both the boardwalk and the traditional hiking trail. 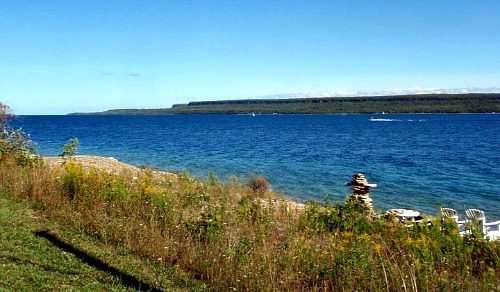 Visiting Cape Croker allows you to experience more than just the Niagara Escarpment and the Bruce Peninsula. You can experience the life of the First Nations, camping, hiking or just sit on the rocky shoreline. A special thanks to Peter Olsen for all the pictures of Cape Croker. Return HOME from Cape Croker Ontario.